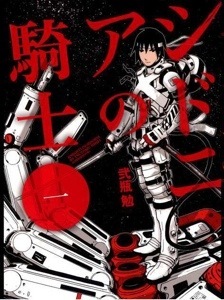 Alright so a few days ago I got a chance to watch Knights Of Sidonia and it turned out to be a pretty good show. It took me a while to get used to the animation of the show but after awhile I was able to look past that and just enjoy the plot of the show. I also enjoyed the opening song. It started off slow but then picked in the middle which was great. Also if you like Johnny Yong Bosh who also voices Ichigo in the Bleach dub then definitely watch since he voices the main character in this show as well. I also read that a season 2 is in the works and I definitely can’t wait for it to be released so that I can know what happens next. Also as a bit of warning there are a few weird/awkward moments in this show. Nothing terrible but enough to make you blush (hehe). But otherwise please watch this show and give it a chance. If you do decide to watch it the show is available to stream on Netflix. This is a question that I’ve asked a few of my friends before but now I want to ask all of you. If you could live in any anime world, what world would it be? Go ahead and take your pick. For me I think I would have to choose either Pokemon since I would love to have a pikachu (pika pika hehe), Sailor Moon of course, or even a shoujo anime like Ouran since it looks like they have fun all the time! But anyway leave your comments below with what your choice or choices are. I will also comment back since I love talking to all of y’all. Have fun!! 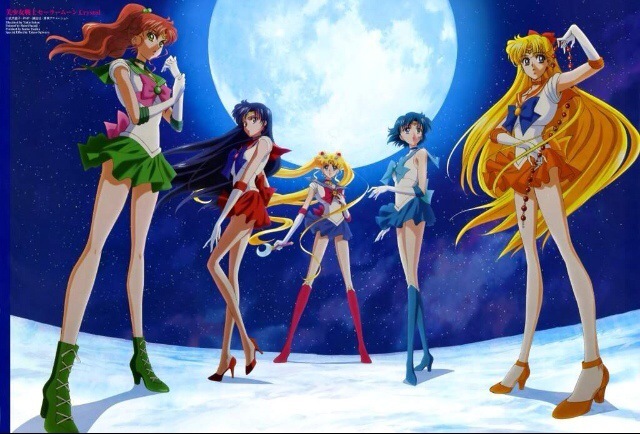 Alright so I just for done watching the 1st episode of the new Sailor Moon Crystal and I really enjoyed it! 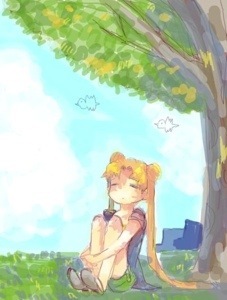 I felt like I was that little girl again watching Sailor Moon for the first time. But it didn’t have me feeling like I was watching a little kid show which was a good thing. The art in the show was amazing to me and I loved the revamped look of the new characters. I’m pretty used to the older style of the old anime but the new one have it a fresh feel. I also loved how Usagi is just as clumsy in this one as she was in the old one and there was quite a few moments where I was laughing out loud and putting myself in her shoes like when she fell down the stairs. I’ve definitely done that before. Overall I loved the first episode and can’t wait until the next one and when more of the Sailor Scouts starts to appear.